Home → E-Cigs → ProVari Mini Review: Ratings, Pros & Cons! ProVari Mini Review: Ratings, Pros & Cons! If ever there’s a name you can’t miss to find or hear within the vaping community then it’s ProVape. In addition to being the leader in the designing and manufacturing of electronic cigarettes, ProVape is a top direct retailer of quality US-made e-cigs. Now meet ProVari, the company’s well-known vapor cigarette brand that shares the pride of having passed stringent quality controls and of course, being made in the USA. 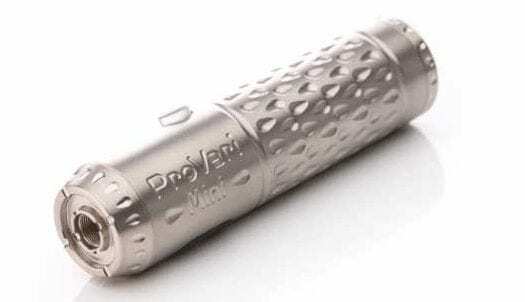 Ever heard of or used the original ProVari 2.5? To date, it remains one of those few smartest and respected vaporizers the vaping market has ever seen. Its mini version, the ProVari Mini 2.5, is here with us and it’s no different except for the reduced size and capacity of the battery. Want a diminutive unit that doesn’t take away your wish for massive vapor output? Look no further than this ProVari Mini review for your solution. At its size, the ProVari Mini is almost unmatched in everything. You will not want to miss out on knowing what it brings. An internal feature of this unit called the ‘boost circuit’ takes nearly all the credit for having the ProVari Mini give out excellent vapor production, a fulfilling throat hit, and a tasteful flavor. It takes the voltage from the battery and converts it to a higher voltage resulting in an intense smoking experience. Having been made out of steel and other tough components, it makes much sense when its maker says the unit is destined to serve you many years to come. Overall, it’s sturdier than most of the vaporizers around and can take some pretty tough punishment, like a smash on a wooden floor (don’t try that out though!). Design-wise, it impresses on all fronts, right from the ease of holding it to the various color options and finishes available. Considering that the ProVari Mini packs premium features and comes from a reputable brand, its pricing is all justified. Now, when it comes to the real act of vaping, the unit does an excellent job on all fronts, as you will see later in our Mini ProVari review, only that the button makes it a bit tedious and cumbersome to smoothly operate this device. Of all the good features the ProVari Mini has, its dynamic voltage system shares a top sport. So what is it exactly? Inclusion of a built-in microprocessor helps in the regulation of your device’s voltage when the battery is discharging. This it does on its own. Without this, your vapor quality and taste would have toned down as the battery discharges just as it is with other cheap brands in the market right now. Another exceptional thing about ProVari Mini is the fact that it’s compatible with a wide range of third party parts. That makes it easier to scale your vaping experience. This includes cartomizers as well as batteries. Even though ProVape advises against the use of third party parts, if you observe all the necessary elements such as the right resistance (in the case of cartomizers) and the battery quality, you will hardly go wrong. Addition of a microprocessor makes this unit almost self-contained. It does the voltage regulation on its own and later on in our ProVari Mini review you’ll see that it doesn’t need you to adjust or repair any of its parts. It’s a no-screw-required device. Included in this unit are a number of features that assist to keep it safe in various ways. There’s the short circuit protection which guards your unit against electrical faults. Then there’s the standby mode which ensures your unit doesn’t accidentally power on while in your pocket or bag. Thanks to voltage monitoring, your unit will automatically shut down if the feature detects voltages that are likely to affect your current configuration. Lastly, there’s the heat monitoring, a feature that shuts down your unit if unusual temperatures are detected. Want something that will match your style and taste? Just proceed to check out the wide range of colors, materials, and finishes that the ProVari Mini comes in. You will not lack an option that suits you right. Switching between options can be a little more tedious on this unit due to its single multipurpose button. It turns on the unit, activates the menu, cycles through options, name it. Worse, you’ll have to wait a few seconds to go from one option to the next. Overall, it can get quite cumbersome using this device just because of that. A quick look at the ProVari Mini tells you that you that you are staring at a tough and stout unit, probably the best you can ever find with such a feature in its category. It’s made out of stainless steel, a sure sign that they intended for it to last longer. In fact, the device has often been advertised as a ‘No-screw-required’ unit. In short, you’ll never find yourself adjusting or repairing any parts unless of course it’s an unavoidable situation which the company is ready to help out anyway. At its bottom, it features a pair of twist off caps that enclose the battery together with the atomizer/cartomizer. Size-wise, it’s relatively smaller than its larger sibling by an estimated 16% reduction. Like we saw earlier in our ProVari Mini V2 review, this device’s voltage is regulated by a built-in microprocessor. What the processor does is let the unit dynamically adjust its voltage output to match the battery’s status. So regardless of your battery’s status, the voltage output will always be adjusted to accuracy. If you’ve been quite keen with other vaporizers, you must have noticed how the vapor and taste quality takes a dip as the battery discharges. Before buying a cartomizer, one thing you should always bear in mind is that it should have the right resistance for your preferable voltage levels. Bear in mind that this unit is compatible with a wide range of third party parts so that’s something you will want to know even as you use the unit. So for this unit, you have the Innokin iClear 3os. It comes with a dual coil atomizer which is rated at 2.0 ohms, plus a 3 ml tank. Also included is a stainless steel cap that packs the disposable atomizer and can work with an estimated 500 drip tips. If you buy the ProVari Mini kit, you’ll have the option to go a premium option, the Aspire Nautilus, which packs a dual coil atomizer rated at 1.6-1.8 ohms and a fairly large reservoir with a capacity of 5.0 ml. Much as it is small in size, the unit runs on an 18350 battery, so it doesn’t really sweat out as the power generated is just enough to keep it running smoothly at its size. You can adjust the unit between 2.9v to 6.0v depending on what your cartomizer/atomizer can take. This you do in increments of one. Addition of an extender cap means you can fit 18490 batteries especially when you are on move. 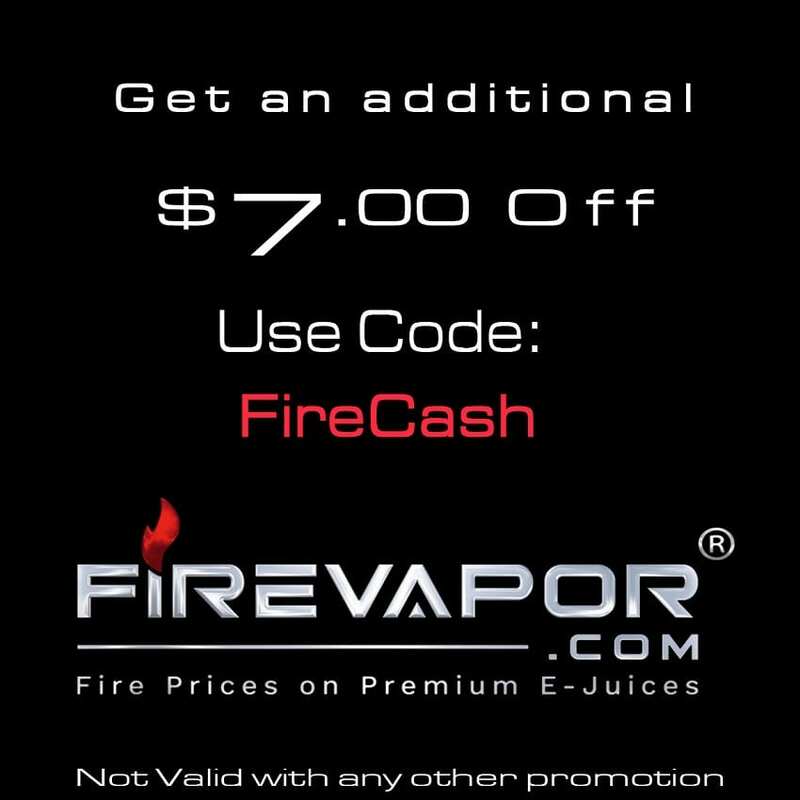 You also have the option use third party batteries even though ProVape doesn’t recommend that. ProVari Mini is undoubtedly a top product in its class, putting into mind that it impresses on nearly all fronts, from design and appearance to quality to performance to vapor production and everything else that matters, just like the original ProVari. Other than the reduced battery capacity and size, nothing else seems different from its larger sibling. Also, it fits both vape newbies and veterans even though I’ll be quick to note that a veteran who understands this space better will make the most out of it than a newbie due to a couple of sophisticated features it comes with. Looking at what it’s able to bring, it isn’t hard to see why ProVari Mini is worth every cent you pay for it.